Discussion in 'Fraggle Rock' started by MrBloogarFoobly, Mar 19, 2015. Good news, especially in the wake of this awful Muppets for babies news. cahuenga, charlietheowl and Twisted Tails like this. Hmm, intriguing. He's producing it as well, so I guess that would make him the "Jason Segel" of Fraggledom. Finally this movie can get rolling, and hopefully New Regency won't turn this into another Chipmunks (god forbid). Apparently JGL has added a potential FR movie to his endeavors along with the upcoming Sandman movie for DC Comics. Let's see if anything truly comes out of this news. Wow. This is amazing news, seeing someone like him attached to this project is awesome. I'm still not going to be believe this movie will actually get made until I'm standing in line to buy a ticket, but this is really promising. I want to use words like grain of salt or boy who cried wolf; but deep down you kind of want to believe oh this time...this time it's going to really really happen. Like when in 1998 Muppet Central posted an article in Variety about JHC doing a Dark Crystal prequel. Still puzzling why JHC doesn't make Fraggle youtube shorts...but maybe this film will happen. I mean next summer a third Ghostbusters film comes out, so who knows. Hopefully Joseph Gordon-Levitt's star power will get this one made (and if it succeeds then hopefully it'll lead to me being able to remember what his whole name is easier). I wonder what kind of role he would have. For all the years we've heard of a potential FR movie, I never thought about it having a human lead. I wonder if it will be more like Jason Segel and Amy Adams in The Muppets, or more like Neil Patrick Harris in Smurfs, Brendan Frasier and Jenna Elfman in Looney Tunes: Back in Action, and Piper Perabo in The Adventures of Rocky and Bullwinkle (maybe that last example shouldn't count because I think that was her acting debut, so she wouldn't have been a celebrity selling point... And has Perabo gone on to become a big star by now? I know she was in the Cheaper by the Dozen movies and at least something else). I wonder if he'll be a silly creature the Fraggles meet and befriend, maybe even annoy, or if he'll be a bad guy (wow, until now I never thought of the possibility of the Fraggle movie having a human villain). Or maybe he'll be a relative of Doc (I don't think he should play the role of Doc, if they decide to include Doc, because he's too young). And there goes my planned April Fools Day "announcement" of the film still being in production (I was going to say that Michael Bay was going to produce the movie with Tommy Wiseau, and have the Fraggles be costumed characters with CGI facial movements and celebrities providing the voices, Wiseau would be either Wembly or Boober). Muppet fan 123 and Mr Sweetums like this. This is great news, and hopefully his involvement speeds up production since a Fraggle Rock movie has been in development almost coming up to ten years now. I always liked Joseph Gordon-Levitt ever since I first watched him in Angels in the Outfield, and his resurgence with (500) Days of Summer (which I still haven't seen) and Inception was amazing for a young actor. So, yeah, I'm curious about what role he is going to have in the film, and how his interaction with the Fraggles will be handled. We've been down this aisle before. All I can say is, we'll see what, if anything, happens this time. I'm not getting excited until I see puppets on arms. Well, I can also say: Joseph Gordon-Levitt, whoever that is, is starring in a Fraggle film? Please please please tell me isn't not going to be another film in which they dump characters from our childhoods into the real world because that's more "relevant" than their own worlds. I want to see Fraggle Rock, not Fraggles in New York. Heh, I like how toughpigs broke the news, stating that this is not a test, we're on yellow alert. That's right people... We're on Code Banana Tree Shirt. The problem is that sort of storyline would work far better with the Fraggles than any of the other characters that ruined it. I still fail to see why they couldn't keep the Smurfs in their own time and just have them running around New York. And yet it's the sequel everyone hated where they actually had an engaging story about Smurfette. I too would prefer to have the Fraggles in the Rock. If they can make Sesame Street's set look great in FTB, I feel we've been robbed not having a theatrical upgrade to the Fraggles' caverns. As long as it doesn't turn into the faux-edgy farce that Frankenweinstine wanted, I'm for it. Well, for it if this news wasn't more of the same "the wheels are in motion, things are happening" (Seinfeld reference intended) stuff that comes up every 3 or 4 years only to be followed by years of nothing and a "we're TOTALLY going to do it this time." That's just a feedback loop. But I completely agree with beaker. A movie's fine and all, but we really need something cheaper and more accessible. A Hulu Plus exclusive cartoon about Doozers isn't going to cut it. We need viral Fraggle videos. I'm disappointed that the Muppet ones have run dry since the first movie, but I LOVE seeing Cookie Monster's new Unboxing videos. SW seems to be the Muppet branch that really gets viral videos as of late. Why no Fraggle ones? A series of Traveling Matt ones should be painfully obvious. I'm tentatively excited about the announcement. Though I also hope they're not "venturing out into the human world!" and I'm not sure about how they would work another human character into the story. The slow way that Doc was uninvolved-but-parallel with the main plot for so long, wouldn't really work in a movie format. Why no Fraggle [viral videos]? A series of Traveling Matt ones should be painfully obvious. If it happened, I'd like them to do other characters as well and not just Matt. I'm not keen on him as a character, even if he is the most obvious option for starring in short videos. Way too early speculation: I'm going to guess that JGL will be playing a grandson or similar relative to Doc in the movie, that he inherits the workshop or has to take care of it and discovers the Fraggles. 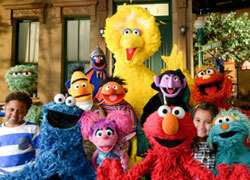 As for the plot, I agree and hope for the most part the Fraggles are contained to their world. I'd say he did a great job there. Disappointed by the lack of interaction in "The Lady Gaga Special with The Muppets Hastily Tacked on at the End" with him outside of one segment with Kermit. As for the film itself, I just don't see it entirely being in FR, nor do I see it entirely being in the outside world. I think there's a good balance to strike and hopefully the writers will get it. I liked the original direction Cory Edwards had before the worst producers in Hollywood had their way with it (which it turns out was a ploy for delaying the project until the rights expired). The problem with an all Fraggle Rock movie is that we've never had an all Muppet movie. Ever. Unless you count DTV projects, and even then it's like that one thing. Well, I can also say: Joseph Gordon-Levitt, whoever that is, is starring in a Fraggle film? Please please please tell me isn't not going to be another film in which they dump characters from our childhoods into the real world because that's more "relevant" than their own worlds. Years ago, when Tough Pigs reviewed an old draft of the movie screen play (I'm not sure if they're still going to do this or not), it was mentioned that the plot did involve them going out into the real world. For years before the movie was ever even announced, I felt that if there ever was a Fraggle Rock movie, that it should involve the Fraggles going into "outer space" (maybe to rescue Traveling Matt). Though if a Fraggle Rock movie had them going into the real world, I can't quite think of a good way for the Gorgs to be involved (and the Tough Pigs review mentioned that the Gorgs were not in that script), and if the plot focused on an adventure in the rock (if not past the Gorg's garden) it might seem odd to see Doc and Sprocket involved. Another option I just thought of: Wouldn't it be cool if, instead of having the Fraggles explore Outer Space for most of the movie, if the main human character was an archaeologist or explorer or something, who happened to find a Fraggle hole and dug it into a bigger hole, causing him to be able to explore Fraggle Rock? Of course it would be cool if they could find a way to get the Gorgs into our world, maybe have Junior Gorg invade New York City. I just hope that the characters wont be C.G.I. This is very exciting news, I really hope something comes out of this announcement, I'm tired of waiting for this movie. So far from what little we know I think we have no reasons to start worrying, I'm happy with everything I've read. Seeing as JGL will be staring in this means that the Fraggle will probably be venturing out into the real world. I completely agree with what Dr Tooth mentions a few posts above, although Chipmunks, Smurfs and in my opinion even the Looney Tunes ruined characters venturing out into the real world in this case this is completely different. I think this is the next logical big step to take, have the Fraggle's explore outer space. When I was a kid I used to get very excited when other Fraggle's other than travelling Matt explored the workshop. The whole premise of Fraggle Rock had them scared of interacting with Silly Creatures, now that they've befriended the Gorgs in my opinion befriending the Silly Creatures is a logical next step. Also it's important to remember that these are not animated characters, these are Muppets and Muppet/Sesame Street movies are known for their cameos. It will not look strange at all seeing Fraggles interacting with humans. When it comes to Humans and Cartoons interacting I think Roger Rabbit was the only movie to ever get that right. What this movie can not overlook are the Gorgs, it needs all it's characters, perhaps like Minor Muppetz mentioned above the Fraggle's can find an opening to the human world through the Gorgs Garden as opposed to the hole in Doc's workshop. whole premise of Fraggle Rock had them scared of interacting with Silly Creatures, now that they've befriended the Gorgs in my opinion befriending the Silly Creatures is a logical next step. The Fraggles did befriend a silly creature. They befriended Doc in the last two episodes. Though years ago it was said that the Fraggle movie would "stand next to" the series as opposed to directly following the events, so I'm sure the Fraggles will continue to fear the Gorgs, Doc won't know about Fraggles (assuming he's in it), and Traveling Matt will still be exploring outer space. Hmm, suddenly I wonder if this is one of the reasons Jim Henson didn't want the show to have proper closure, because then if they made a movie they'd probably break continuity (I think the events of the last few episodes might be too obscure for casual fans to be aware of, and could cause confusion for those not expecting, say, the Fraggles and Gorgs to be friends). 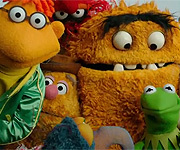 While I keep thinking an obvious choice for plot would be to have the Fraggles in our world, I feel like it'd be odd for the Gorgs (and maybe Trash Heap) to appear. If it were an episode of the original series or even an hour-long special, it probably wouldn't have the Gorgs, but for a movie of a TV series that a lot of kids might not be too familiar with (despite the many video releases), a scene with the Gorgs might seem like a big-lipped alligator moment unless they are more involved in the film. And if the Gorgs are major villains, scenes with Doc and Sprocket would feel a little out-of-place without them being involved in the plot (it's alright with the TV series, but would it be with a film?). And yet fans who grew up with the show would be expecting to see Fraggles, Doozers, Gorgs, Trash Heap, and Doc.